The year may be coming to an end, but there is still time to make your car donation to Wheels For Wishes and receive your end of the year tax deduction. If you make your car, truck, SUV, ATV, boat, RV or motorcycle donation to Wheels For Wishes by 11:59 p.m. Dec. 31, your tax deduction will count toward your 2013 taxes. Now is the perfect time to donate to Wheels For Wishes. With the coldest months of the season still ahead of us, now is the time to unload that unwanted vehicle. Trying to maintain a vehicle in cooler temperatures can be difficult – and trying to sell a vehicle can be a giant hassle. You can avoid these headaches by making a donation today! Making a car donation is as easy as calling 1-877-431-9474 or filling out a car donation form online and can impact the lives of children throughout the United States. Your donation stays local; Minneapolis, Dallas or Tallahassee, your car donation helps children in your community no matter where you live. Check out our 2013 Guide To Donating Your Car To Charity to see how easy it really is to donate a vehicle to Wheels For Wishes. December is the month of giving. Whether you are donating to bell ringers outside of your supermarket, giving toys to children for the holidays or feeding homeless on the weekend, December is a great month to make a difference throughout the community. Wheels For Wishes is another great way to give back to your community. Wheels For Wishes benefits Make-A-Wish, which means that your donation can help grant the wish of a child with a critical illness. Make-A-Wish grants a wish on average every 38 minutes. By donating a vehicle, you can be a part of the magic. Helping to grant a wish is something you will feel great about forever. Finish 2013 strong with a donation to Wheels For Wishes. There are many benefits to donating a car before the year is finished. Not only do you get a great tax deduction, but Wheels For Wishes will take that vehicle you have been trying to sell off your hands. No more worrying about purchasing ads, meeting buyers and keeping your car working – we even take cars that aren’t running. Cross off your first New Year’s resolution by donating your used vehicle. Making a car donation is a New Year’s double whammy! Not only do you rid yourself of that unwanted car, but you will also be making a huge impact in the life of a child through a donation. Get a head start on the new year with your donation today. If your donated vehicle is sold for less than $500, you claim the fair market value of your vehicle, up to $500, or the amount the vehicle is sold for if it’s less than fair market value. If the donated vehicle sells for less than $500, you claim the exact amount for which the vehicle is sold. In either case, you receive a tax deductible receipt at the time your vehicle is sold, and it will state the amount of the sale. For any vehicle sold for more than $500, the exact amount the vehicle is sold for will be stated on your receipt that is mailed out to you. 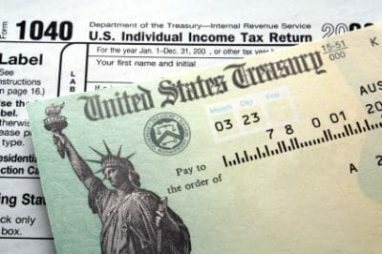 This will in turn be your charitable tax deduction! We take care of all the hard parts of car donation so you don’t have to worry. Some wishes are elaborate while others are exotic, but each wish is completely unique because each child is completely unique. Some might wish to meet their favorite athletes or to give back to those in need, while others just want to live out their greatest career wish! Make-A-Wish works with volunteers around the world to make sure that every wish can be granted.